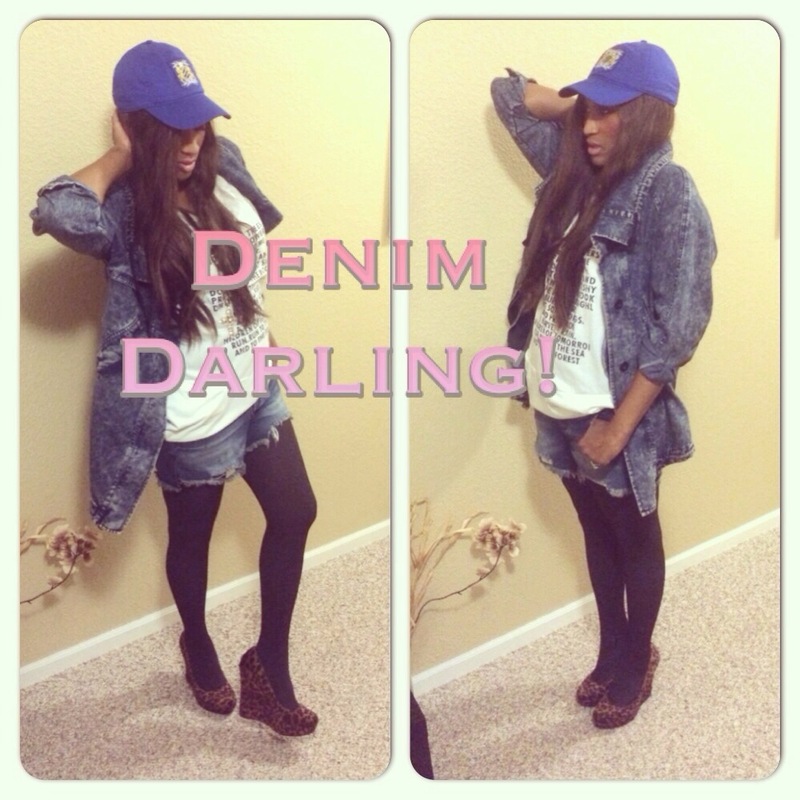 Evening Style: Denim Darling! How to achieve the look: Pair a graphic tee with an oversized denim jacket, denim shorts and wedges, add tights if it’s cold! Accessorize with a baseball cap! Shorts are from @freepeople ! Categories: Fashion | Tags: chic, fabulous, Fashion, freepeople baseball hat, glam, shorts, spring fashion, style | Permalink.